World Kindness Day is celebrated on November 13th. If you have never heard of it, it is an international holiday that was started in 1998, and set in place by the World Kindness Movement. You may ask yourself, how do you celebrate this day and what am I supposed to do? If you don't know what to do to celebrate this day of love, let us give you some options and ideas to help you spread the love for less this World Kindness Day! Related: Christmas is right around the corner - are your finances ready? Check out these 4 joyous tips to assemble a Christmas budget that works for you! If you want to participate in a kind act for the holiday but do not have the time, don’t worry. Compliments are free! With technology giving us communication at our fingertips, this is easier than ever. Go onto your social media and send love to people on their page. Comment some photos of friends letting them know how beautiful they are. Congratulate someone for their accomplishments. 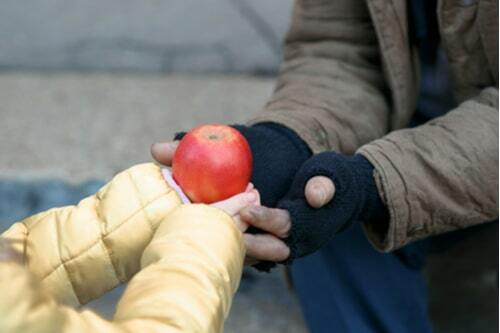 These small acts of kindness can change the outcome of someone’s day. A little goes a long way when it comes to compliments. If you go out for a bite to eat or decide to go shopping, there will most likely be someone assisting you with the process. You might encounter a waiter, busboy, retail worker, or cashier. If any of the people helping you when you're out and about really go out of their way to make your experience a positive one, tell their manager. It might be the case where the manager is considering that employee for a raise, or a promotion, and you might be the little push they needed to finalize the decision. You can really change someone’s life with your kind words. We all have those items in our home that we keep, but never use. This can be clothing, shoes, household items, or unopened toiletries. If you know you won't use it and someone in need will, why not donate it? You can go to your local shelter or Salvation Army to give away these items. In the cold months, it is great to donate coats, scarves, and gloves. This does not cost you any money, but will drastically help people in need to stay warm, clothed, and clean. There are many parents in the country that have children whom they cannot afford to buy presents for this Christmas. Although it is sad for the kids, Christmas is just not a possibility for everyone. There are families struggling to get by to pay their bills and put food on the table. Sponsor a family this Christmas by buying their children some presents to make their holiday extra special. If this is not in your budget at the moment, but you feel you truly want to participate, you may want to look into payday loans near you to fund your own family this year. A small payday loan can help you gift the Christmas spirit to your family, and make their holiday magical. Have you ever went to pay for your coffee, and realized the person before you has already paid for it? That is the essence of paying it forward. When paying for your coffee or food, give an extra five dollars for the next person. This would make their food free, or discounted due to your kindness. Many people who have been paid forward, choose to do it for the next person as well. This can go on for many people and spread happiness. Kindness can be contagious. 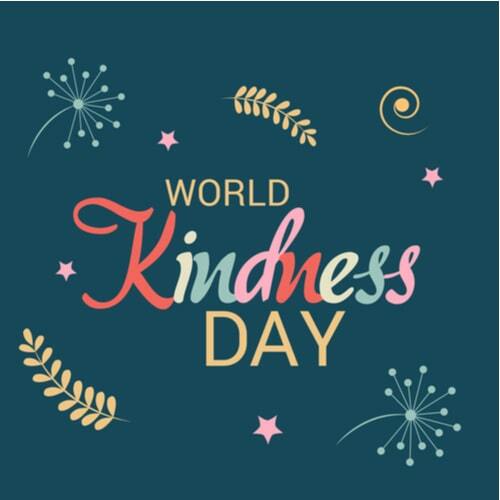 How Will You Celebrate This World Kindness Day? Being Kind doesn't have to cost a lot, especially when you don't have much money to begin with. But if you look into your heart and your home, chances are there are plenty of things you have to give. And a little bit of time and energy could be enough to show someone, stranger or friend, some kindness this November 13th!